Hotels near Boston Harbor Mini Speed Boats, Inc.
Room tip: We had a large corner room with two large queen sized beds and ample space, with a functional working desk, seating area. It was a pleasure to welcome your family to the Boston Harbor Hotel at Rowes Wharf! Thank you so much for your kind words regarding the service you received from our dedicated staff. We are delighted to hear you enjoyed your stay with us, and we can't wait to welcome you back the next time you vacation in Boston! I love Boston. We stayed just for one night, but next time we will stay longer. Our room was comfortable and quiet. Food was verry good and service also. The Hotel is near to most Attractions like USS Constitution Museum and ship, Bunker Hill Monument, Old North Church, Faneuil Hall and Faneuil Marketplace etc. Thank you for your gracious review of our hotel and we are pleased you enjoyed your time here with us at the Boston Harbor Hotel at Rowes Wharf! 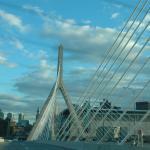 We would love to have you be our guest for a longer stay next time you visit Boston. We are pleased you had an enjoyable stay and appreciated all the personal touches we offer to ensure your comfort and satisfaction. Thank you, and we look forward to welcoming you back to the Boston Harbor Hotel at Rowes Wharf! We stayed at the Boston Harbor Hotel last week for one night before heading to Cape Cod. From the moment we arrived we received exceptional service. From the doorman, the concierge, our check-in, our server at their restaurant and the house-keeping staff. Everyone went out of their way to make sure our stay was exceptional. We received recommendations on places to go and things to see. We will definitely return to this beautiful hotel (on the water, with gorgeous views). Everything we wanted to do was within walking distance of this hotel. We had a suite, and it was amazing. Highly recommend. We took a cab from the airport and it was close - about 10-15 minutes? We also took the ferry to Hingham to go to Cape Cod. The ferry is right behind the hotel and a great experience as well. Room tip: We stayed on the top floor (16 I believe?) with a view of the city - spectacular. Your kind remarks on our staff's exceptional service mean a great deal to us, thank you! It's our pleasure to provide our guests with the highest level of service and comfort. Thank you for your review and we look forward to welcoming you back to the Boston Harbor Hotel at Rowes Wharf! Love Boston. The warmth and hospitality of this hotel brings us back year after year. A great spot on the waterfront, with easy access to cycling and walking paths. We enjoy music on the barge and the view. Suites facing the waterfront are spacious and comfortable. Quiet. Courteous and thoughtful staff. We cannot say enough about the kindness shown by the valet and concierge staff. Thank you for letting us know how much you enjoyed your stay. Your kind compliments to our staff members is appreciated and we will forward your praises to them. 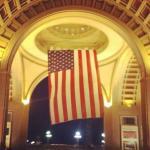 It would be a pleasure to welcome you back to the Boston Harbor Hotel at Rowes Wharf! I had a wonderful time at an alumni event at this hotel, however I have to give special shout out to Faycel the door man! he was so attentive and made sure to give us each a bottle of water after a long night. All of the food was amazing and the service was impeccable!! But more than anything thanks Faycel!! Your recognition of the exceptional service you experienced is greatly appreciated, and we are pleased you had an outstanding event here at our hotel. Thank you for taking the time to share your review, and we would love to welcome you back to the Boston Harbor Hotel at Rowes Wharf!